Considering Making A General Damages Claim For Personal Injury? Compensation settlements can be vital in cases where families have had to pay for extensive medical treatment out of their own pockets. No matter what your circumstances, First Personal Injury lawyers will aim to get you the compensation you are entitled to with minimum delay. Personal Injury General Damages refers to the pain, suffering and loss of amenity that a person has experienced through no fault of their own. Pain and suffering equate to physical and psychiatric symptoms, while loss of amenity takes into account how an injury has affected an individual’s lifestyle. If it can be proven that the long-term chances of a claimant getting work in the open labour market, have been hindered, there is room for a separate damages element in your claim, this is called a Smith v Manchester award. As with all personal injury claims, you will need to prove that the accident which caused your loss of amenity and pain and suffering, was not your fault. 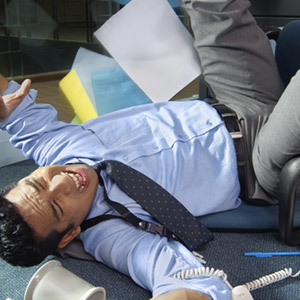 Proving negligence is crucial to the success of your personal injury claim. Medical evidence is often used to prove liability. It forms part of the general damages element of your claim and helps to clarify what you are saying about your injuries. Sometimes medical notes from your GP are used to gain more understanding of your condition and sometimes, it may be necessary to have a medical examination. If you have any pre-existing medical conditions you must disclose what these are, even if these conditions appear to be separate from the injury you are claiming for. If you would like to know more about making a compensation claim for personal injury general damages then please get in touch with First Personal Injury lawyers. 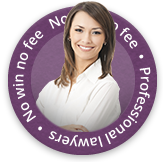 We are a team of no win no fee solicitors who handle a full range of compensation claims including claims against the council, occupational illness claims and car accident claims. Call us on 0800 808 9740 for more information and advice.